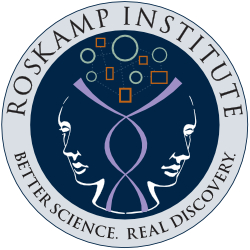 The Roskamp Institute will be hosting its annual Open House honoring veterans and military personnel on November 10, 2016. 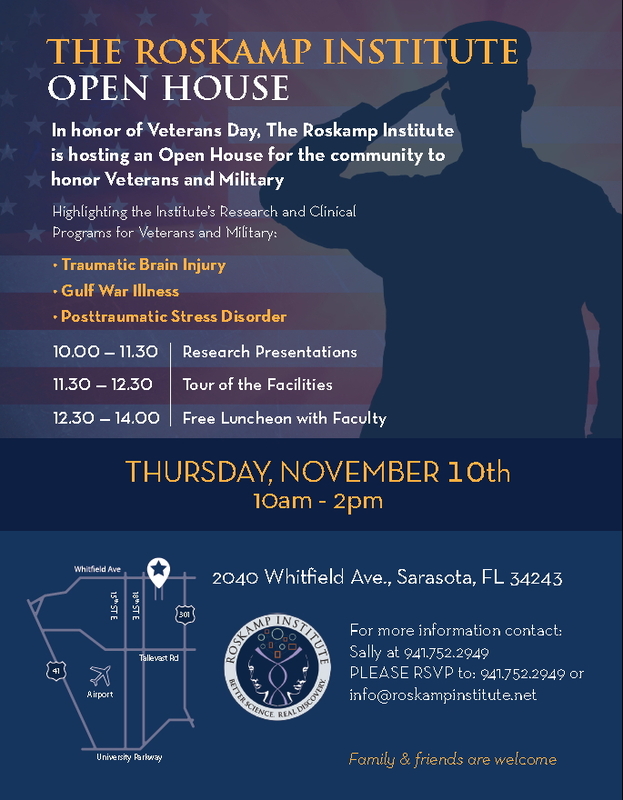 This event, which is open to the public, will run from 10 a.m. to 2 p.m., showcasing Institute research and clinical programs of particular relevance to military personnel. The topics include: Traumatic Brain Injury (TBI), Gulf War Illness (GWI), and Post-traumatic Stress Disorder (PTSD). Following the presentations will be tours of the Institute laboratories and a luncheon with the faculty. The Institute’s work in areas that impact veterans arose from the known link between TBI and Alzheimer’s Disease, a core segment of the Institute’s research. From the connection of TBI and Alzheimer’s, the Institute’s research delved further into neuropsychological and neurodegenerative conditions suffered by the military and veterans. “Our veterans programs have been expanding significantly. For many of the conditions suffered by our military there are no adequate diagnostic tests, and while there may be some treatments for some aspects of the conditions, many have no widely demonstrated efficacy. That is the problem we are addressing and we want all our veterans to know that there is hope, and that our team is working day and night to find effective therapies to tackle the medical conditions they are facing”. In a 2013 Congressional Research report to the United States Congress, the Veterans Administration stated that more than 200,000 veterans enrolled with the VA for healthcare have a diagnosis associated with TBI and that 30% of its patients who served in Iraq and Afghanistan screen positive for PTSD. Gulf War Illness is another serious condition that affects at least one-fourth of the 697,000 U.S. veterans who served in the 1990-1991 Gulf War. 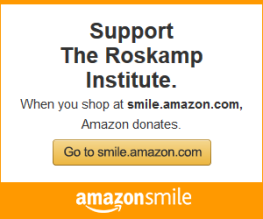 The Open House is a free event open to the public. For more information, contact Sally Goulet at (941) 752-2949.